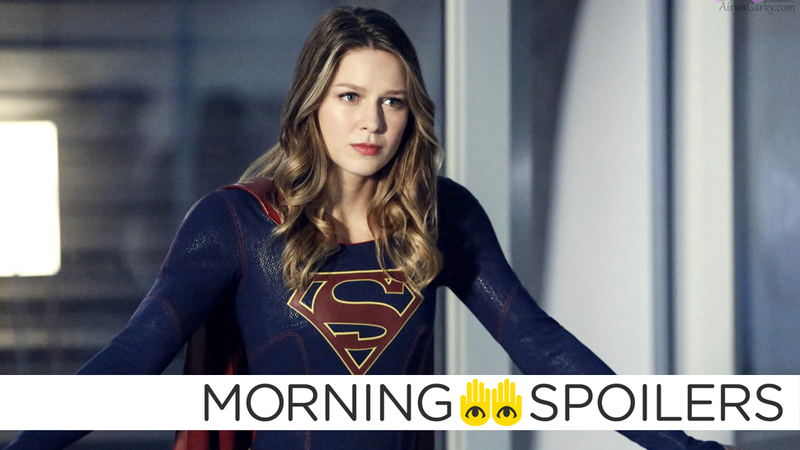 What Major Villain Could Teri Hatcher Be Playing on Supergirl? Aquaman could be close to casting Arthur Curry’s mother. Maisie Williams teases a “huge cliffhanger” for Game of Thrones’ season finale. We’ve got the reason why you shouldn’t put too much stock in the latest rumors about Peter Capaldi’s Doctor Who replacement. Plus, new footage from A Cure for Wellness. To me, my spoilers! A new clip from the film does for sensory deprivation tanks what... well, Altered States also did for sensory deprivation tanks. We have a really cool, exciting twist for how she’s going to reappear. The interesting thing about the choices Evelyn has made is that as much as she took the moral high ground when confronting Oliver, she has allied herself with someone who is even worse… she’s gone from the frying pan into the fire. Peter Capaldi’s shocking departure from the series may just be two days old, but there’s already speculation as to who could take on the role of the Doctor after him. Unfortunately, it’s pretty bad speculation—the rumor being that Bond’s Ben Whishaw is already the hot favorite to take Capaldi’s place in the TARDIS, mainly because British bookmakers have started taking 6/1 odds on the actor scoring the role. It’s just kind of tumbling now. We’ve come to the climax and it’s rolling down to the end. It’s exciting. I really felt like at the end of last season everything was set up for how it was going to end. Every character came to a little junction in their lives. Now we’re all going to crash down together to however this show ends. It propels us into a very different half season from the one before it. Before the end of that very first episode back, you will see Rick Grimes smile. From [episodes] 15 to 22, it’s two people out in the open who used to be friends and now want to destroy one another. That war between them, between two people who are best friends but also at war, plays through the whole season. The thing about it is [Cory and Robin] both play their characters of such levels of complexity that they can play, ‘I hate you, I’m going to kill you, but you’re also my best friend.’ It’s never one note, so you always get that push pull,” Stephens said. I feel like, if this show survives years and years, they might be apart but we have to imagine that situations will bring them back together because they are like souls. At the end of the day, these two have more in common than anyone else on the show. They will probably find their way back together, and when they get back together it will be all the more gratifying because they were apart for each other. When the team loses a client due to Van’s (Alan Tudyk) incompetence, Emily (Vanessa Hudgens) seeks to clinch a deal with the people of Atlantis. Because of his massive screw up, Van’s father (guest star Corbin Bernsen) takes notice and sets him on a path to redeem himself. Meanwhile, new employee Alex (guest star Matthew Atkinson) starts at the office and Teddy (Danny Pudi) and Ron (Ron Funches) are convinced he is a superhero. As the Wizard (Vincent D’Onofrio) arrives in the Kingdom of Ev, an intense negotiation may lead to a standoff with Langwidere (guest star Stefanie Martini). Dorothy (Adria Arjona) and Lucas (Oliver Jackson-Cohen) find themselves on opposite sides. Meanwhile, Jack (Gerran Howell) makes a decision that may have deadly consequences. Elsewhere, Tip (Jordan Loughran) and West (Ana Ularu) solidify their bond and mount a battle of their own. Dominic Cooper shares some slightly NSFW bodily viscera to confirm that production has begun on season two.